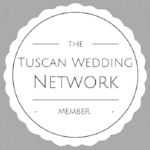 Looking to make your Wedding in Italy more authentic? Check out some real Italian Wedding traditions and take your Tuscan Wedding to the next level. Once upon a time a couple met at work, fell in love and got married in Tuscany… When A and M met, it was love at first site. A wedding story to inspire yours.